Our team has over 30 years of experience in building custom, energy efficient homes. Let us be the first to welcome you home to the place you will love. The place where you will indulge in lifeâ€™s adventures, create lasting memories, and share great love. We consider it a privilege to partake in this journey of your life and we look forward to welcoming you home soon. 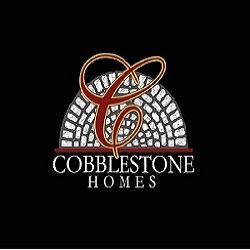 Cobblestone Homes: Building beautiful homes & neighborhoods in Fort Smith & Northwest Arkansas.